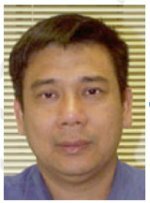 Congratulations to Dr. Liem Dang at Pacific Northwest National Laboratory on being named an adjunct faculty member of the School of Chemical Engineering at the University of Queensland, Australia. In this role, Dang will work with students who are inventing, designing, and managing products and processes that transform raw materials into valuable products via biology, chemistry, and physics. Dang was selected because of his expertise in designing and implement simulations to study molecular properties and processes at aqueous interfaces. His research, including numerous publications focused on the transport of ions and molecules between interfaces of hydrogen-bonded liquids. Of particular interest is his research at interfaces of water with vapor, other liquids, and solids.